Humanists UK has responded to the BBC’s consultation on its draft Editorial Guidelines, calling for the BBC to increase its content about the non-religious, which is currently disproportionately low, and reduce the barriers that prevent fair criticism of religion. In its submission, Humanists UK highlighted the lack of guidelines for non-religious coverage, which as a result, means that the non-religious remain underrepresented across BBC programming. 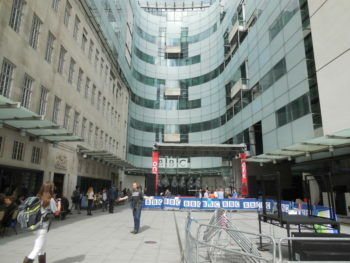 Humanists UK called for specific and equal inclusion of non-religious beliefs in the guidelines so that dedicated programmes can be made about and for humanists and the non-religious, thereby fulfilling the BBC’s obligation to do so under its own Charter, as well as under domestic and international human rights legislation. Humanists UK also called on the BBC to take note of the fundamental right to freedom of expression and to amend the draft guidelines so that content which legitimately scrutinises religion can be made without undue barriers. Currently, any content dealing with matters of religion and likely to cause offence to those with religious views and beliefs must be editorially justified at higher levels within the BBC. Humanists UK Director of Public Affairs and Policy Richy Thompson said: ‘It is vital that humanists are fully considered and represented in the BBC’s draft guidelines, and it is disappointing that so far the BBC has overlooked programming and content specifically about the majority of its licence fee payers, listeners, and viewers who are non-religious. We hope to see the BBC take note of our response, and update the editorial guidelines to create interesting and informative content that reflects the diversity of the UK today’.